Experience classic Florida golf that you will never forget and walk in the footsteps of champions. Sawgrass Marriott Golf Resort & Spa is adjacent to TPC Sawgrass, boasting two PGA TOUR championship courses designed by world-renowned architects Alice and Pete Dye. Winding through North Florida's natural landscape, THE PLAYERS Stadium Course was named one of the top 80 golf courses in the world, according to Golf Magazine and is ranked #1 by Travel Leisure among the Best Resort Courses in Florida. Carved out of the Florida coast, THE PLAYERS Stadium Course sports one of the most challenging holes on the PGA TOUR - the notorious 17th hole, Island Green. Consistently among Golf Digest's top 50 golf courses in the country, THE PLAYERS Stadium Course is home to THE PLAYERS Championship - one of PGA's most prestigious tournaments - where the deepest field in golf takes on the game's greatest field. Greg Norman, Fred Couples, Phil Mickelson and Sergio Garcia have hoisted The PLAYERS Trophy. 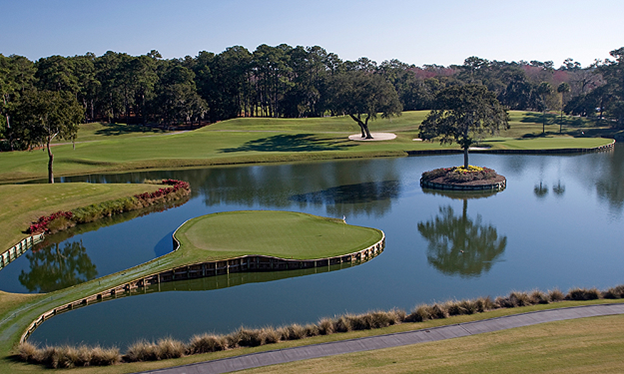 THE PLAYERS Championship is May 7-10, 2015! With wide rolling fairways, larger greens, challenging water holes, and a peaceful, unassuming feel, Dye's Valley Course is ranked No. 24 in Golfweek's 2011 rankings of Best Courses You Can Play in Florida. Sharpen your game at the TOURAcademy, adjacent to the TPC Sawgrass Clubhouse, with golf lessons from highly-skilled PGA TOUR professionals, as well as two, three and four-day programs. The TOURAcademy also offers indoor hitting bays, private practice areas, a driving range, and perfectly manicured putting and chipping greens and bunkers. Perfect swings aren't just for the pros anymore. Putting the same technology to work as used on the Tour, professional fitters at the TaylorMade Performance Lab will capture your swing in 3D, and then customize every club in your bag, so you're always at your peak. Sawgrass Marriott Golf Resort & Spa in Ponte Vedra Beach has unveiled the stunning results of a multi-million dollar resort-wide renovation designed to enhance the timeless appeal of Florida's premier golf, spa and beach destination resort. The project touched every one of our 63-acres, and in turn created a resort designed to welcome leisure and business travelers alike. Beautifully designed and furnished, our Villas feature one or two-bedroom layouts, spacious living rooms, outdoor seating on a balcony or patio, flat-screen TV's and kitchenettes. After a day on the greens, enjoy a lunch or dinner on your patio. Take in sweeping resort views of lagoons, be lulled by the sounds of Florida wildlife - you can even hear the roll of the Atlantic Ocean. Meticulously renovated, The Villas at Sawgrass are distinct enclaves of resort-style accommodations, including home-like amenities with all the facilities and services of a world-class resort. These one and two-bedroom, graciously appointed Villas are ideal for golf buddy groups, family gatherings or a friends' getaway and corporate outings of up to eight people. Nestled along Florida's picturesque northeast coast, Sawgrass Marriott Golf Resort & Spa is a luxurious escape where green fairways, blue lagoons and white sand beaches rejuvenate your soul. 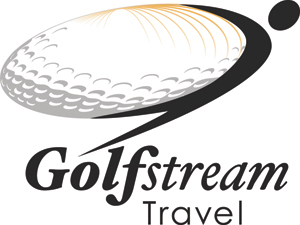 Located 15 miles from Jacksonville, our luxury golf resort is adjacent to TPC Sawgrass and is a wedge shot away from championship golf and legendary holes. Whether you are getting away for a golf getaway, family beach vacation, a romantic retreat or a corporate event, our spectacular resort is a sanctuary on Florida's Historic Coast. Sawgrass Marriott Golf Resort & Spa offers a myriad of recreational activities, private beach access at the Cabana Beach Club and exclusive access to tee times at THE PLAYERS Stadium Course and Dye's Valley Course at TPC Sawgrass. Take a refreshing swim in four outdoor pools, relax in three hot tubs and indulge your senses at the Sawgrass Spa. Get an energizing workout in the 24-hour Fitness Center with cardio and weight training equipment, as well as certified fitness instructors, training programs, and classes. This magnificent resort offers guests access to our private beach at the Cabana Beach Club. Hop on the free shuttle and laze on the blissful beach, enjoy waterfront dining at 619 Ocean View, a casual meal in Sea Porch Bar & Grill or relax by the pool. Rent a beach cruiser bike or volleyball at the activities center, or grab a kayak or surfboard and take some surfing lessons in the Atlantic waves. Sawgrass Marriott also offers fun family activities, including an 18-hole miniature golf course, beach volleyball, hiking and biking. Little vacationers have a blast at the Sawgrass Kids Klub, our supervised recreational program for kids 5 - 12, while grownups relax and soak up the sunshine. The Kids Klub offers fun activities, like pool time, arts and crafts, games, and special events including Kid's Night Out, Kids Camp and Explorer's Kid's Klub. Sawgrass Marriott Golf Resort & Spa offers signature restaurants and lounges that serve fresh seasonal cuisine and handcrafted cocktails. Grab a table in Vernon's or Alice and Pete's Pub and enjoy local cuisine and specialty drinks with stunning views of the celebrated courses at TPC Sawgrass. Savor fresh Florida cuisine at 619 Ocean View with an outdoor patio and breathtaking views of the Atlantic Ocean. With 56,000 square feet of dynamic event space, we can host cocktail receptions, corporate events, wedding receptions and black-tie banquets for up to 1,300 people. Escape to an oasis of wellness and serenity at the Sawgrass Spa in Ponte Vedra, Florida. Surrounded by 63 acres of breathtaking scenery - winding lagoons, moss-draped water oaks, twisted palms and giant magnolias - our 25,000-square-foot luxury spa is a sanctuary where your body and spirit rejuvenates. Experience a sublime spa getaway on the Florida coast. You deserve it. Get refreshed and relaxed at the Sawgrass Spa with massage therapy, hydrotherapy, reflexology, body treatments wraps, and skincare. Enjoy the healing art of touch enhanced with organic botanical products and oils. The Spa features 19 private treatment rooms, including hydrotherapy and couples' massage rooms. Unwind in the men's and women's locker rooms with steams, saunas, whirlpools, and relaxation lounges. Sit back at the nail studio, with deluxe manicure and pedicure stations and browse the spa's retail store to purchase the gift of relaxation for yourself or someone that you love. Take a refreshing swim in the outdoor heated pool, soak in the bubbly whirlpool and find your balance in the relaxation area. Stop at Soothies at the Spa for energizing drinks and spa cuisine as you relax and refuel. Open every Saturday & Sunday 10:00am - 6:00pm. One of the most vibrant dining destinations in the Jacksonville area, Sawgrass Marriott Golf Resort & Spa offers signature restaurants with inviting atmospheres and innovative cuisines from our signature restaurant Vernon's and Alice & Pete's Pub. From intimate sunset dinners to salads and burgers poolside, our restaurants and lounges offer playful settings, creative American cuisine made from fresh, local ingredients. Enjoy modern pub fare, cold beer on tap and live music at Alice & Pete's Pub. Escape to 619 Ocean View at the Cabana Beach Club and enjoy fresh Florida catch and breathtaking views of the Atlantic Ocean. Overlooking the pools and scenic lagoon, the Pool Bar is the perfect spot to watch the sunset over the Stadium Course at TPC Sawgrass. Nestled along Florida's Northeast Coast in beautiful Ponte Vedra Beach, Sawgrass Marriott Golf Resort & Spa is an indulgent getaway just south of Jacksonville and north of St. Augustine. This iconic property hold exclusive access to Tee Times for championship golf at TPC Sawgrass, including the world famous Stadium Course, home of THE PLAYERS Championship. Sawgrass Marriott is proud to unveil our multi-million dollar resort-wide renovation designed to enhance the timeless appeal of of Florida's premiere golf, spa and beach destination. The project touched every detail of our 63-acres. Adjacent to the legendary golf courses of TPC Sawgrass, this breathtaking resort is a sanctuary for the soul - from our sublime stretch of nearby private beaches to the natural serenity of our sparkling pools, lagoons, waterfalls and views of TPC Sawgrass. 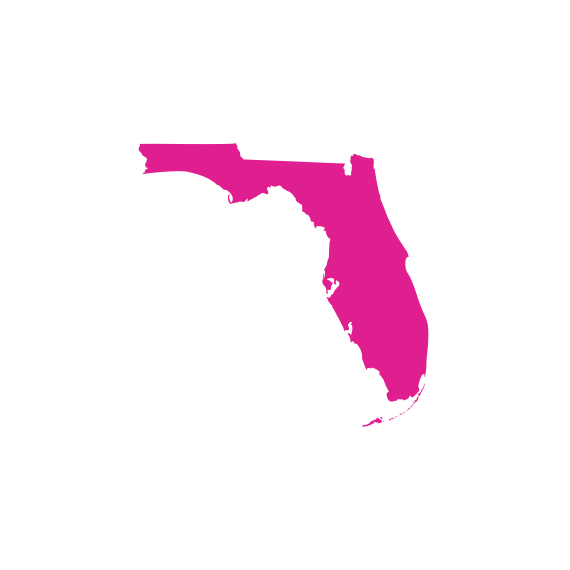 Discover the perfect family vacation or golf getaway on Florida's most breathtaking and historic coastline. Relax in beautifully designed rooms, suites and luxury villas with contemporary décor and lifestyle amenities. Stretch out in suites with separate living and sleeping spaces, a bar and work space. Overlooking magnificent lagoons and fairways, our pet-friendly villas offer one or two-bedrooms, living rooms, and kitchens - the ultimate retreat for buddy group golfers, families and corporate outing of up of to eight people.